I am recovering. Mentally and physically, I am feeling like myself again. The last two days have been rough. I tried to go back to my routine yesterday…that was a mistake. I was not ready. People at work would ask me if I was ok, and I would cry. Then they would try to talk to me about actual work things, and I would cry from being so overwhelmed and not knowing the answers to their questions. I decided today would be a mental health day, and also a day to rest. I think a huge part of my problem was pure exhaustion. Running a marathon takes a lot out of you, and the fact that I had not had a good nights sleep since the race didn’t help at all. I went to bed last night at 10pm, and got out of bed this morning at 10am. Wow, it felt wonderful. Then I went back to bed for a nap around 2pm, and got up at 5:30pm. I felt insanely lazy, but also so much better. On Tuesday, my friend Beth from NYC told me that when I was tired enough, my body would sleep. And she was right. During the time I was up today, I read blog posts and articles from other people that experienced the chaos and horror at Boston. I also emailed and connected with KC runners about the race and how they are feeling. It has been so comforting to connect with people who know how you are feeling and can relate. Tonight, my brother and his girlfriend drug me out of my house to get dinner with them. At dinner I was able to think about other things, but also talk about Monday without crying. That was huge. I ran into some family friends at dinner, and got even more hugs. I tell you, I am a huge fan of hugs right now. Tomorrow morning, I will try the “getting back into the routine” thing again. And I have a good feeling it will be much more successful. Wishing everyone a fantastic Friday. P.S. Here are a few race photos from Monday. They were just posted on the site. 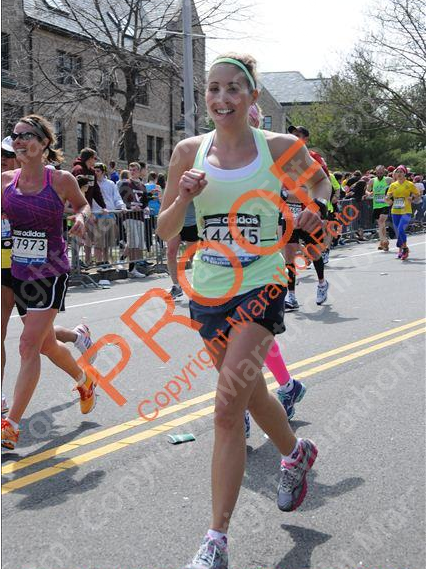 While I feel a bit weird for sharing, I want to remember how happy I was during those 26.2 miles. 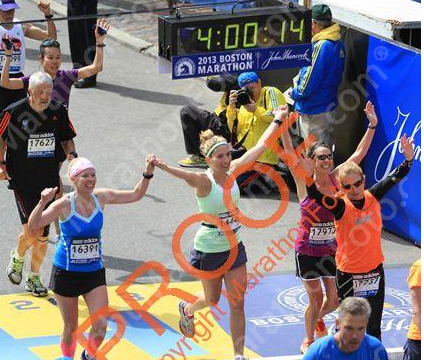 I can’t imagine going through the stress of a huge race like Boston and then the added trauma of Monday’s tragedy. I’m glad you feel like you’re recovering. Sending you virtual hugs!! Love this! I know you will have a great Friday. So glad we got to hang out tonight! 😉 hugs!! Congrats on the marathon, you don’t even look tired! 🙂 Enjoyed reading through your posts, thank you for sharing and I am sorry for all you and everyone went thru, and is still going thru. 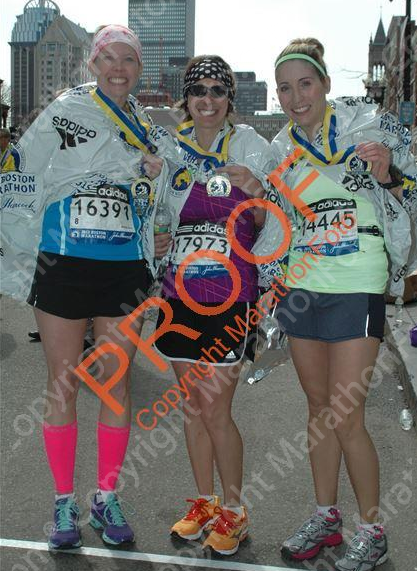 I keep talking to people about the PHYSICAL exhaustion of running a marathon. For me, I was physically and mentally exhausted. In Miami. Without ANY drama. 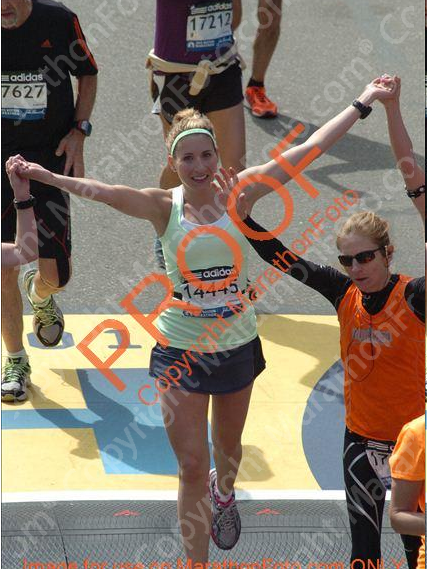 I can only imagine the just pure emotion that must be present in all you runners this week after. Completing a physical exercise such as this is a BIG DEAL. Anyway. Without anything else. It’s amazing how strong you all have fun. So happy that you are on the road to feeling better and that you finally got some rest. Sending prayers and hugs your way! 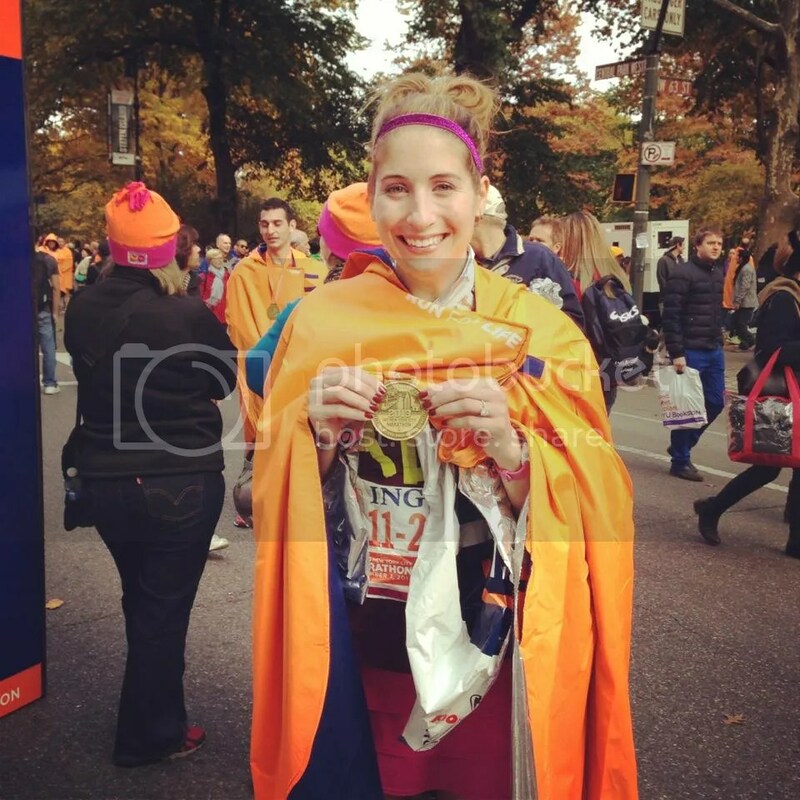 You look so strong in your race photos and I know you’ll get stronger each day.